Treatex Wax Polish is an easy to apply clear polish designed to refresh worn wooden surfaces finished with Treatex Hardwax Oil. 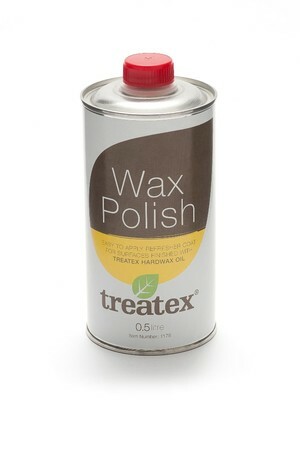 Treatex Wax Polish forms a durable, water repellent and non slip finish. Treatex Wax Polish can be wiped on using a lint free cloth or buffed on using a slow machine with a white pad.